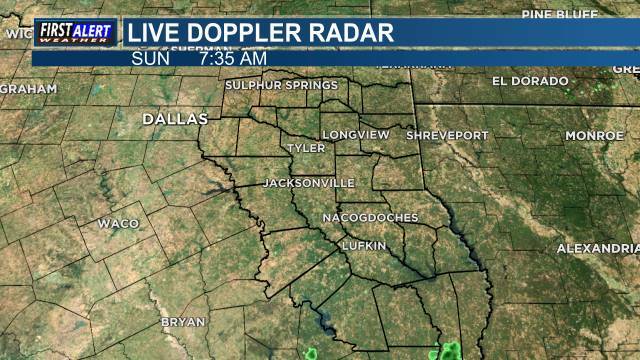 We are seeing a few lingering showers in our southeastern counties and that is what we are expecting for the morning hours today, but as we head into the afternoon hours, those showers should be moving to our east. Highs today will top out in the upper 50s in our northern counties to the middle 60s in Deep East Texas. More Sunshine is expected over the next few days with a warming trend taking place. Highs this weekend will get back into the 70s.